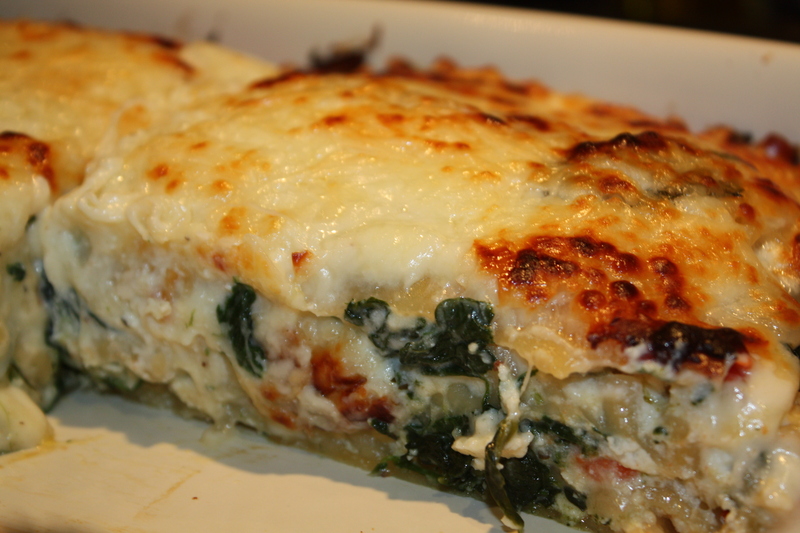 This vegetable lasagna is sometimes called Lasagna Fiorentina or Florentine. 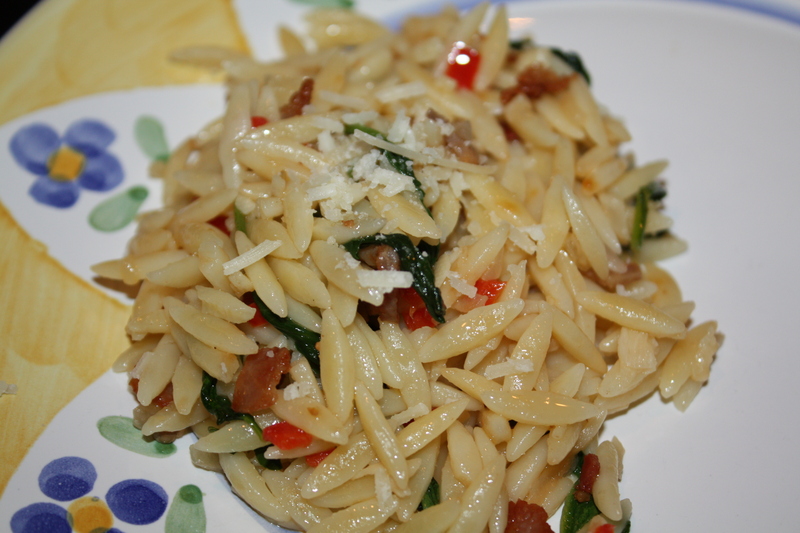 My version does not have tomato sauce, it only has Bechamel Sauce. 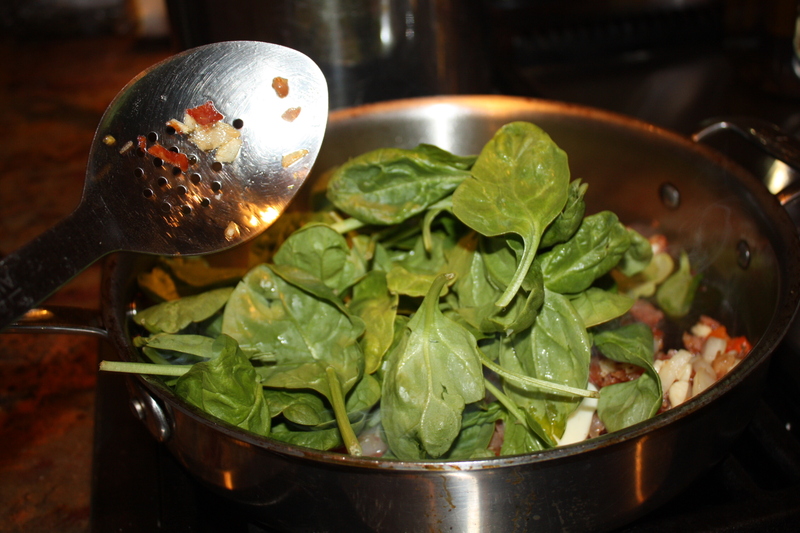 I must tell you, the fresh basil fills the kitchen with an inviting and delicious aroma while the lasagna is baking in the oven. 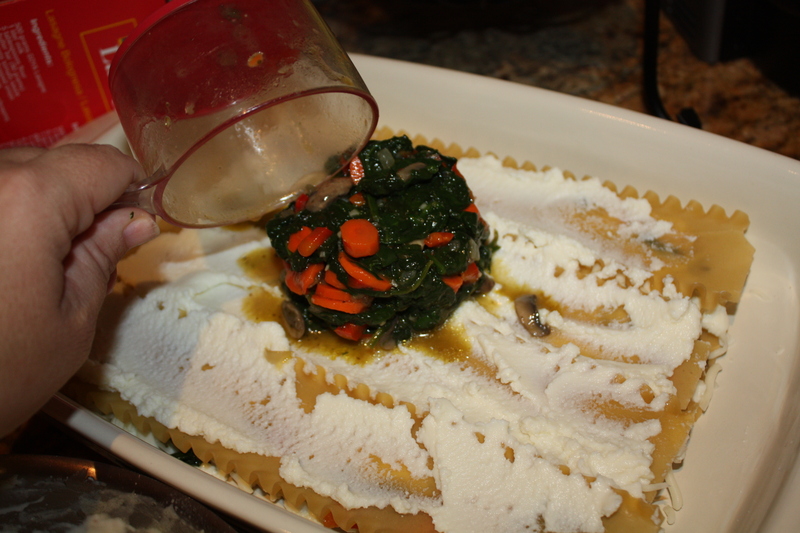 It is important that you use fresh spinach and fresh vegetables to make the filling. 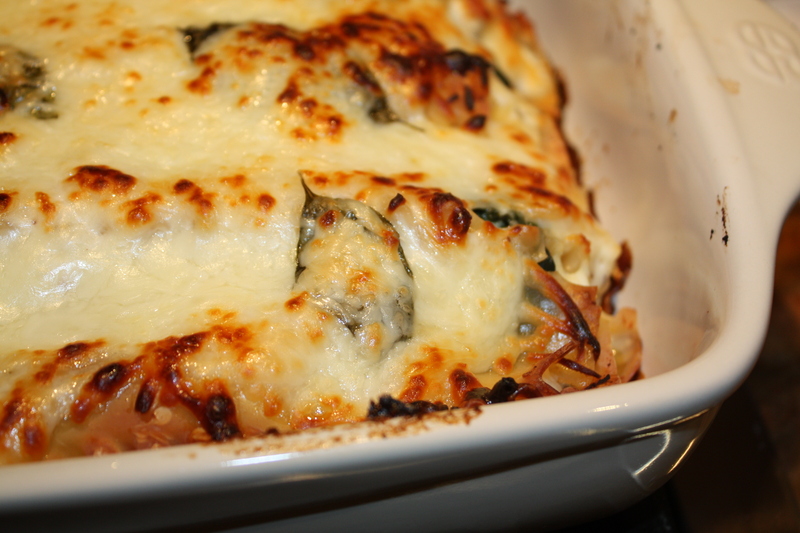 I like to bake it as soon as possible but you may freeze the lasagna for a later occasion, just make sure the lid is tightly closed to prevent freezer burn. My friend Linda is a pro at this technique in which she wraps the lasagna in plastic wrap first and then three times with foil paper before freezing. Make sure you completely thaw the lasagna before you put in the oven. Great alternative for boat trips or no hassle family gatherings. 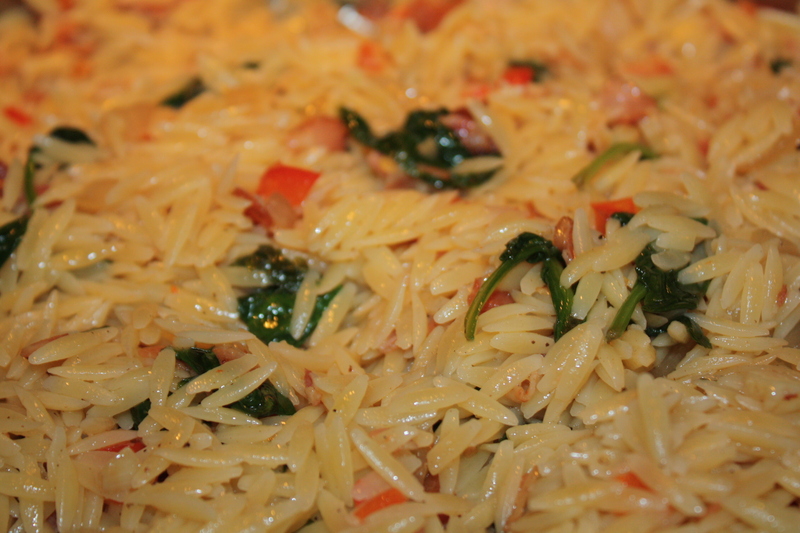 I consider this a complete meal but you can accompany with garlic bread, more veggies, steak, salad or rice. 1. 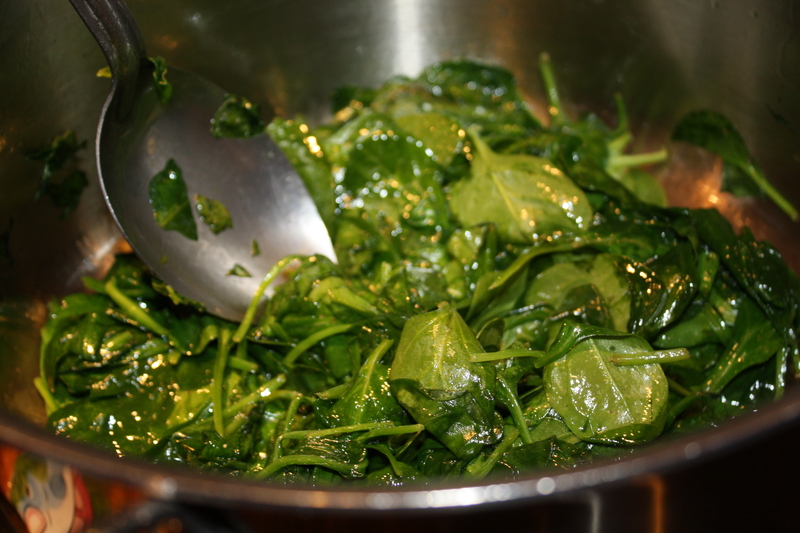 Sauté fresh spinach in a large sauce pan with drizzle of olive oil until it has wilted, stirring constantly (medium heat). At the beginning it will seem like a lot but, as it wilts you will end up with about a fifth of its original volume. 2. 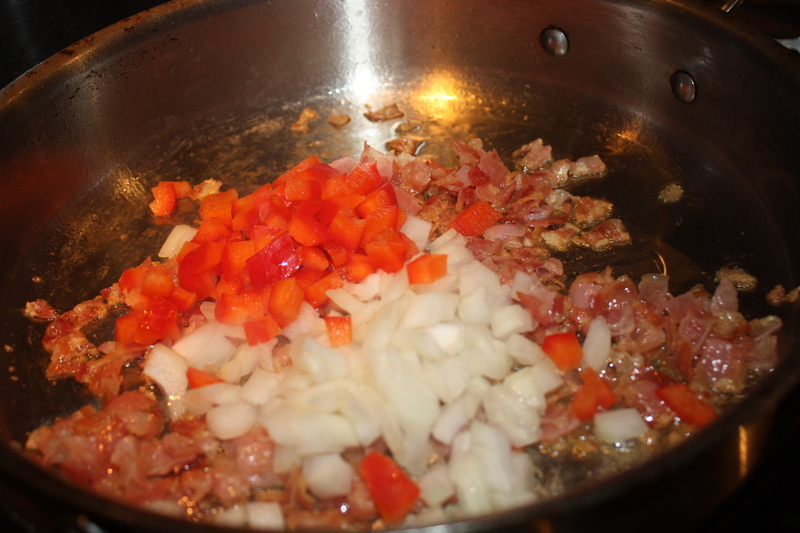 Immediately, add vegetables, worcestershire sauce, oregano and salt and pepper. 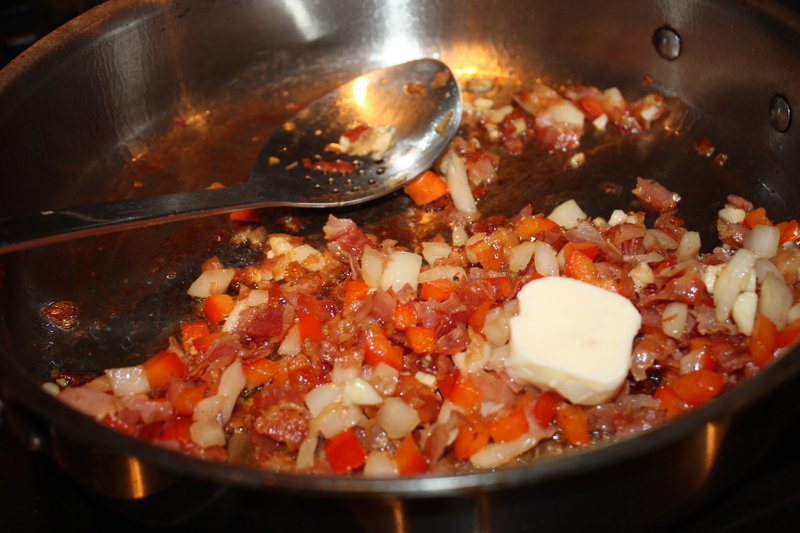 Continue to sauté for about 7 minutes stirring continously. You will end up with about 3 cups of veggies. Include the liquids. Set aside. 4. 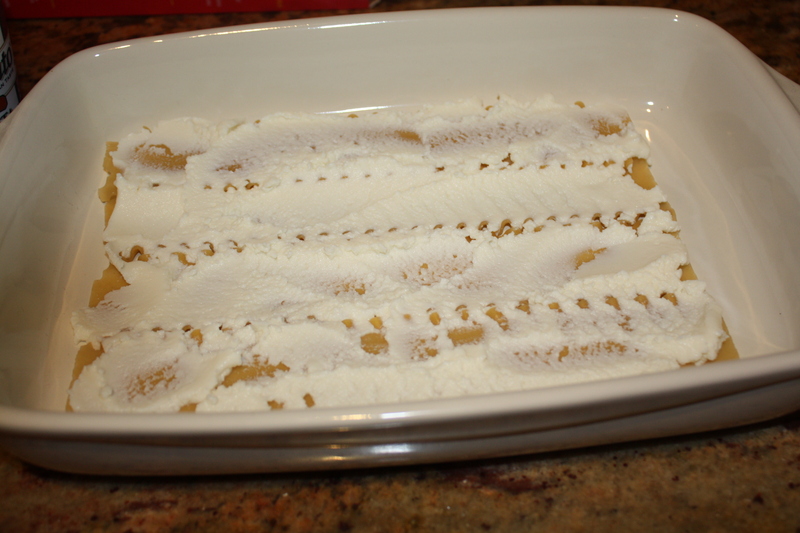 Start assembling the layers of the lasagna by placing pasta (cooked or oven ready) in the bottom and spreading about 5 ounces of ricotta cheese with bottom of a spoon. 5. 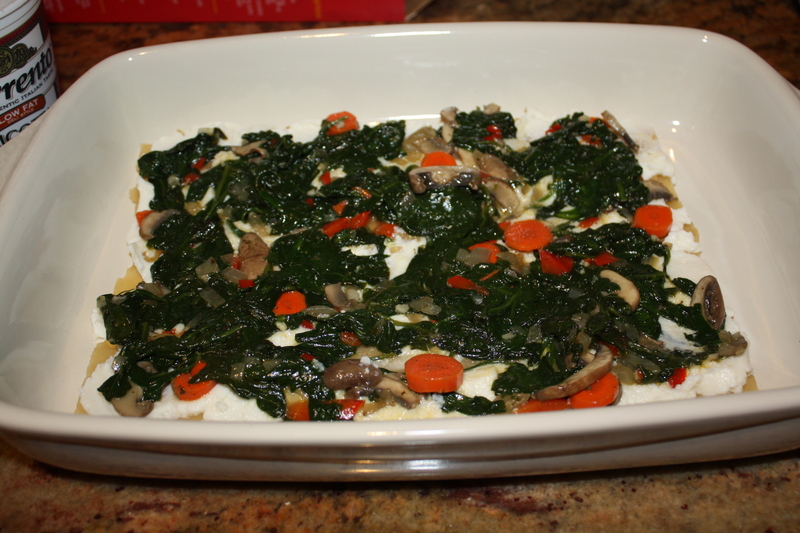 Scoop one cup of cooked veggies and spread evenly with spatula or back of a large spoon. 6. 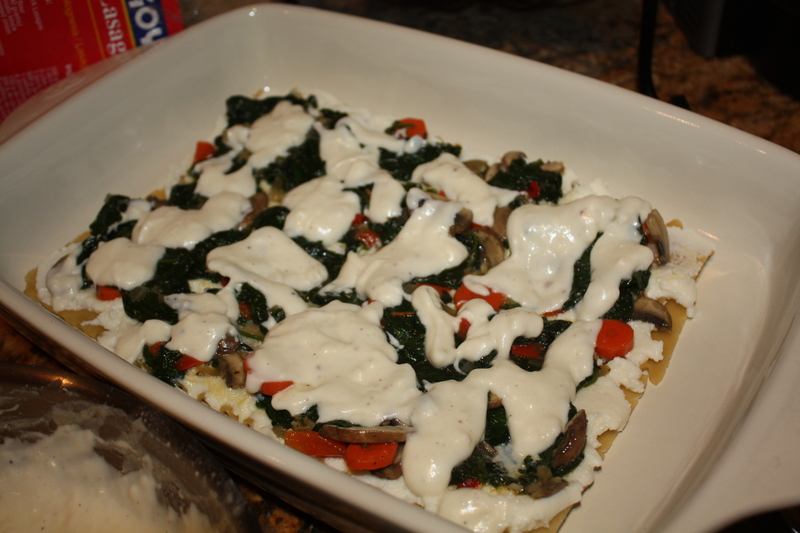 Pour 1/4 of Béchamel Sauce evenly over veggies and sprinkle about 1/3 of a cup of shredded mozzarella. 7. Repeat steps 4, 5 and 6 two more times. 8. 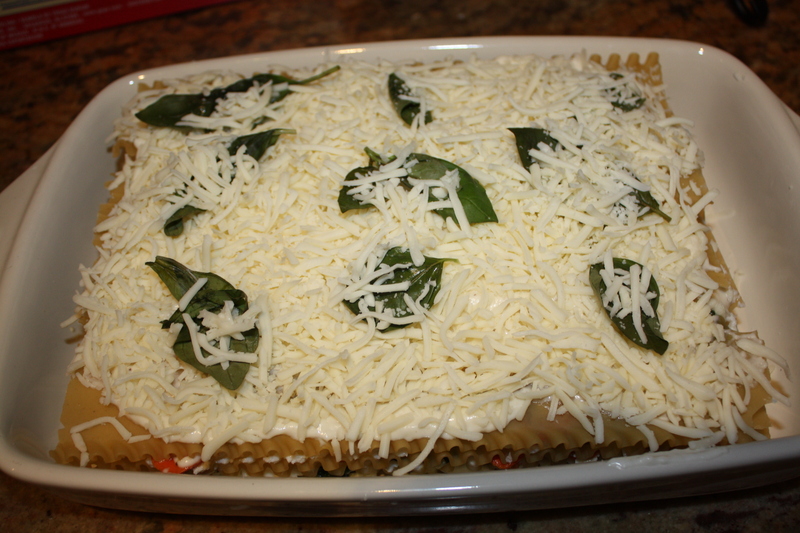 For final layer spread place top lasagna strips and spread remaining Béchamel, basil and mozzarella cheese (in that order). 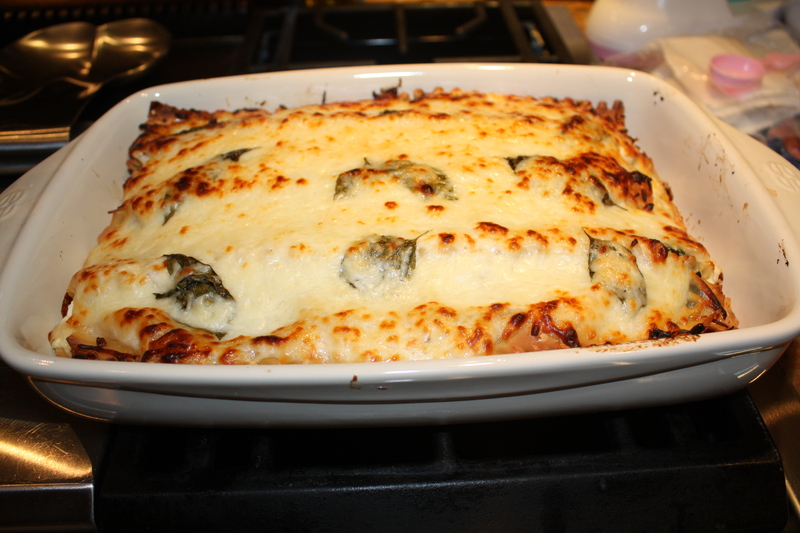 Cover with foil paper (not too tightly so that too much cheese doesn’t stick to it), or if you are using a clay/ceramic pot with lid use the lid, and cook for approximately 30 minutes (or if the lasagna strips are oven ready, bake according to manufacturer instructions). 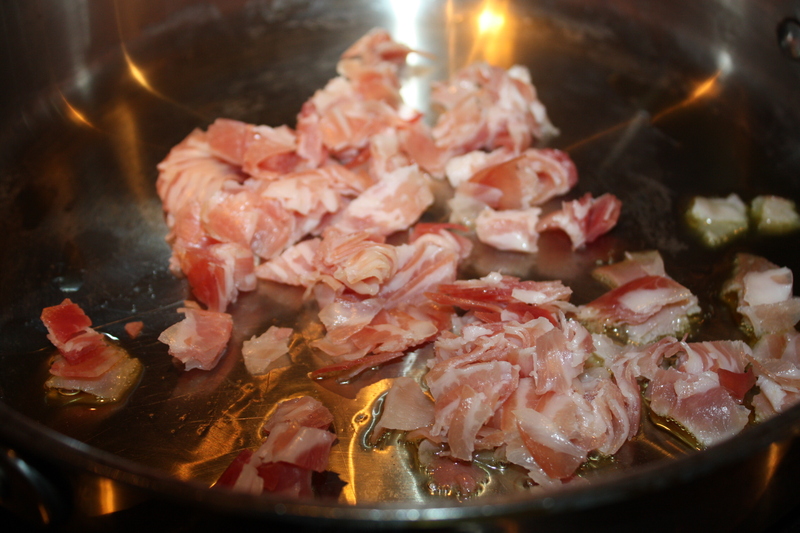 Remove foil paper and broil until cheese is golden brown.